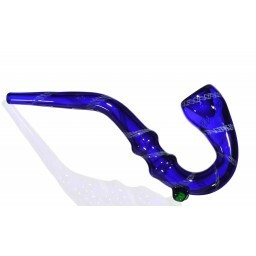 The Blue Gnome - Smurf Inspired - 4.5” Blue and Clear Smurf Hand Pipe -The Greatest Online Smoke Shop! Cute blue body with clear hat and feet give this pipe a classic Smurf appearance! Raised eyes, nose, ears, and mouth give this piece realistic emotion. 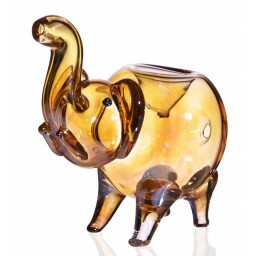 Not only do the big feet add cartoonish charm, they also provide a strong base to keep the pipe standing. The Blue Gnome! 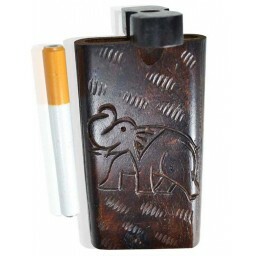 This one-of-a-kind pipe is sure to blast you back into your childhood. 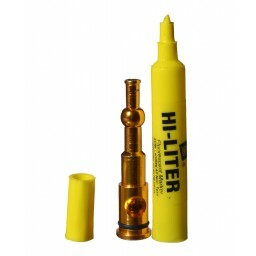 With a blue body and a clear hat and feet this piece is sure to have your friends freaking out. The artist masterfully created this piece, putting an emphasis on the details.  This is apparent in the emotional features of the face. The far-apart eyes, little nose, rounded ears, and shy smile make this Smurf cute and friendly. 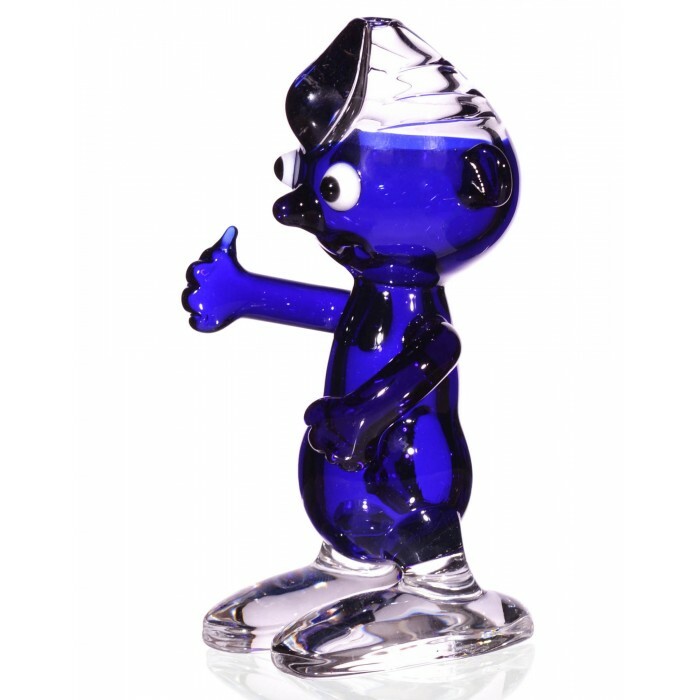 The placement of his arms and the thumbs up he is giving seems to say, “smoke on, dude!” In addition, he is made of durable high-quality glass. 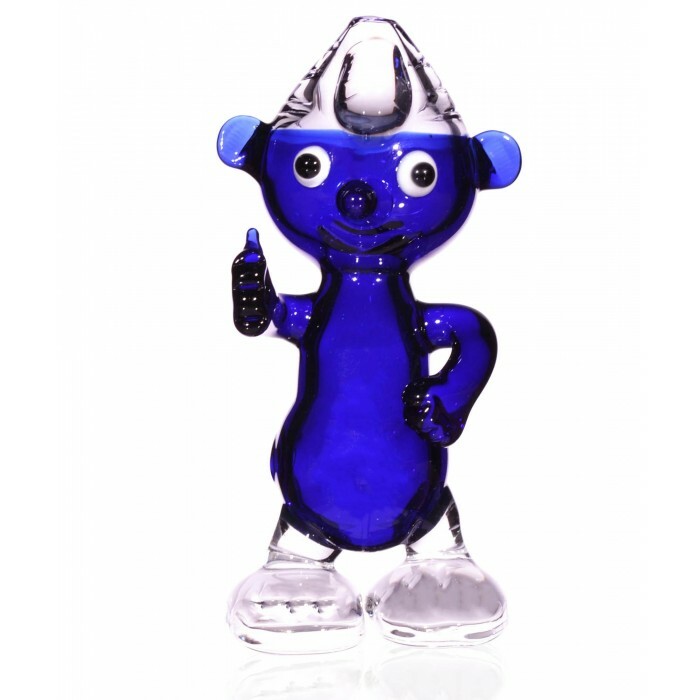 Add a little nostalgia to your collection and get yourself a Smurf inspired Blue Gnome to smoke out of!